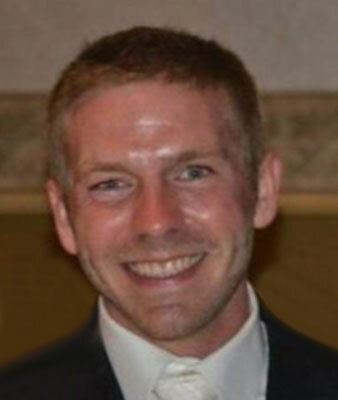 NILES - A Mass of Christian Burial will be held Saturday at 10 a.m. at Immaculate Heart of Mary Church for Brian Cleckner, 36, who died unexpectedly on Monday. Brian was born May 17, 1982, in Youngstown, the son of Jerry Cleckner and Margaret (Ritter) Cleckner. He was a 2000 graduate of Austintown Fitch and attended Youngstown State University. Brian currently worked for Midwest Industrial Contract Services contracted through Vallourec Star in the maintenance department and was a member of Ancient Order of Hibernians. Brian loved being a father and spending time with his children. He had a passion for theater and loved classical music. He had a brilliant photographic memory and craved knowledge of any kind. He practiced yoga daily and enjoyed running. Brian will be remembered for his sense of humor and kind heart. He is survived by his wife, the former Danielle Miller; daughter Sophia Grace Cleckner of Niles; son Malachy Cleckner of Austintown; his parents, Margaret Cleckner of Akron and Jerry and Kathy Davey Clecker of Youngstown; seven sisters, Debbie (Tim) Lantz of Canfield, Joanie (Vince) Martinelli of Austintown, Sherry (Rusty) Zents of Austintown, Diana (Tom) Puz of Austintown, Teresa (David) Bencivengo of Canfield, Megan (Maxwell) Anderson of Struthers, and Kara Cleckner (fiance Joe DeCapita) of Cleveland; two brothers, David (Justina) Cleckner of New Middletown and Scott Cleckner of Austintown; and grandmother Margaret Ritter of Kinsman. Brian was preceded in death by his sister, Veronica S. Cleckner Vigorito; and grandparents, Thomas Ritter and Gerald and June Cleckner. Family and friends may call Friday from 2 to 6 p.m. at the Higgins-Reardon Funeral Homes, Austintown Chapel. In lieu of flowers, the family has requested that material tributes take the form of donations to the family.